The Ellis Starburst Chandelier has a retro yet bright and airy feel. 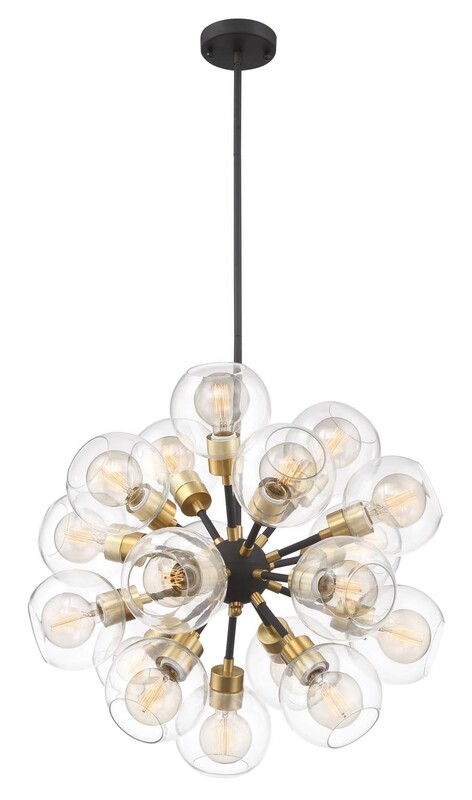 Delicate glass globes contrast the matte black finish. Available with brass or polished nickel accent. Glass bulbs emit a warm, welcoming light while vertical threaded rods and metal tubing add just the right amount of urban flair. Features 18 60W incandescent medium base bulbs (not included).